Hi friends! This is a rarity on my blog as I don’t often do giveaways, but I couldn’t resist! (You’ll find the entry form at the bottom of this blog post. )Today I wanted to share a book with you that I am absolutely in love with! It’s called Crochet Kaleidoscope: Shifting Shapes and Shades Across 100 Motifs and it’s full of fun motif patterns that can be worked up fairly quickly. I tend to use a lot of neutral color tones for my wearable patterns, but when it comes to fun blankets, pillows and kitchen goods, I am all about these gorgeous colors! This book is a stunner as it’s filled with various motifs that use color in amazing ways. 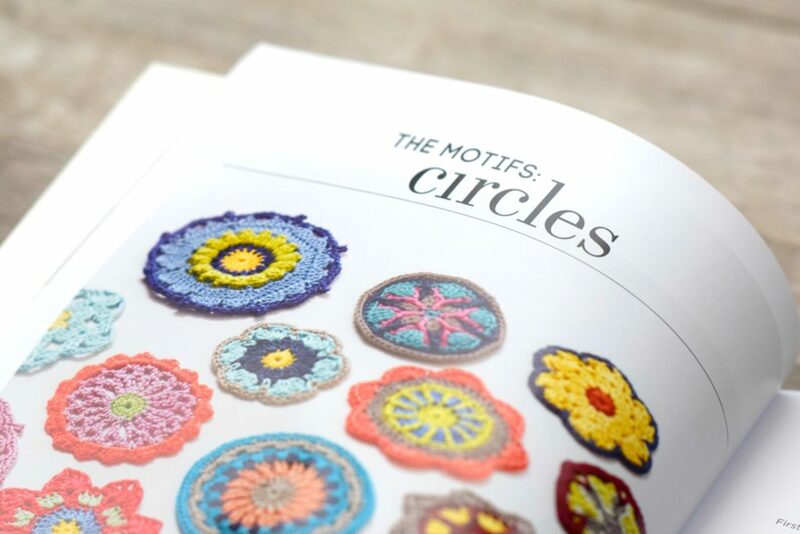 The book’s author, Sandra Eng, also gives you ideas on how to make these motifs into blankets, pillows and more. It’s a great resource to learn how to use various colors together in your projects. I had the pleasure of actually crocheting with Sandra when she made a visit to my town a couple of years ago! There are quite a few motifs that I’d like to try from the book. I think it would be a lot of fun to make a blanket for my daughter with a variety of these patterns. When one of my friends was over the other day for coffee, we were talking about how it actually makes a gorgeous coffee table book! Above: Isn’t that blanket a stunner? Talk about an heirloom piece. I met Sandra through Instagram, and you’ve got to follow her if you haven’t already. You’ll find all sorts of crochet inspiration on her feed. Her handle is @mobiusgirl . 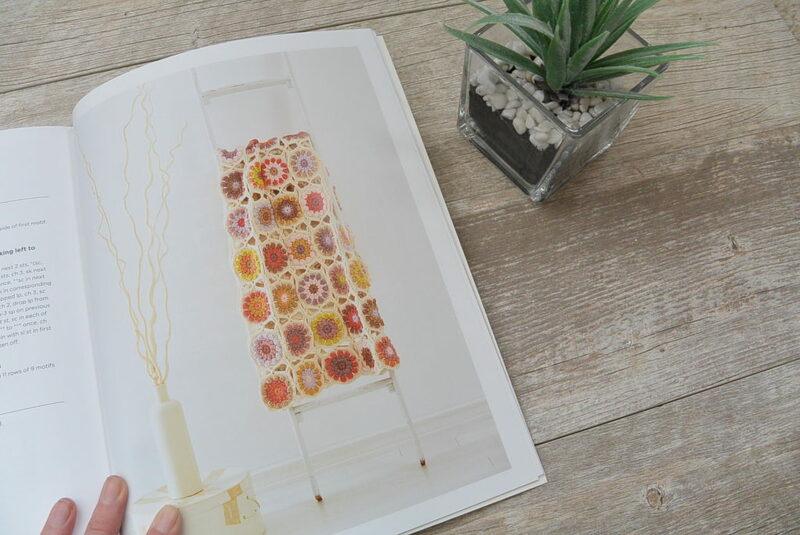 If you love color and the idea of making small pieces that can be put together to make something beautiful, I think you will swoon over this book. 🙂 Thank you to FW Media and Sandra for supplying me a copy which I am giving to one of you! You can find this book on Amazon HERE as well! Shall we get to the giveaway? Here’s the scoop on the giveaway…… Email entry is mandatory, and you can gain entries by visiting my Facebook page and/or leaving a here on the blog! Comments and likes are encouraged but not required over on Facebook. I love your blog and all your crochet patterns! I love crocheting hats and neck warmers for my little ones. My knitting projects doesn’t change with the seasons. I knit what I like to knit no matter the time of year. I like to crochet graphghans all year long! I love small projects in the summer….scarves for Xmas gifts top the list. Wow… that motif book is gorgeous! I really like the duster pattern too. I think I might make that in a different color since I’m already making the poncho in taupe tho. I have a blanket on my needles. A crochet blanket yet to be started. A few shawls to crochet and knit. A sock class…. Whew! Would love to make a wall piece using this book. That sounds like me! I have sweaters to finish, 2 baby blankets to finish, 2 cowls,and so mush more, but I love to knit and crochet, therefore I will be making quite a bunch of these. Thanks Jessica! What an exciting book. It’s like having the key to unlocking my own creativity. My current craze is amigurumi but i otherwise love c2c for its range of pattern options. Love ALL those colors! What a beautiful Book. Thanks so much for sharing! I’ve been learning about colour theory lately and that book sounds like a wonderful addition to that! I love your blog AND the patterns. Thank you!! I love your patterns and blog! It’s been a while since I made something with motifs but always love them when I do. This book looks like it has lots of inspiration. I love motifs, mandalas and anything made in the round. I would love to try everything in this book. I absolutely love all the wonderful patterns you share with us and have made many!!! Crocheting is my favorite craft but also knit. 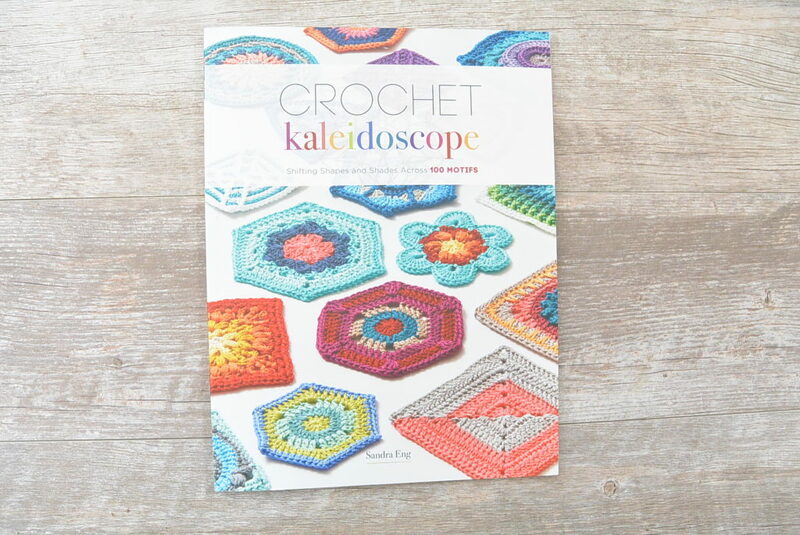 I was just looking at this Crochet Kaleidoscope Book today and almost ordered it!! LOL Always looking for something new and fun to try!! I love all of your patterns and the one thing I’d like to do is start learning to crochet. Especially some of your cardigans and throws 😉 They’re so beautiful I just want to make them all! Love this book! What great designs , colors and patterns! Endless possible projects to do! I like to make small things in the summer since it’s so hot here in the Central Valley of Ca. So this book looks like it would be fun to make these little things in the summer then piece together in the winter!! I love your designs!! I made the ruffle scarf twice and a simple version of the cozy blanket cardigan 3 times for gifts! Going to try the real version next and the sister or kimono! Thank you for doing this!! I’m looking forward to making a mesh sarong with your pattern! I am finishing a baby blanket. I love the creative use of colors in this book! Love the idea of putting together lots of different motifs. I LOVE this Kimono!!!! Will be my next project!! The book is great!!!! I thoroughly enjoy this blog and am super excited to get busy crocheting! Hi, im so enjoying your blog. Especially the crocheted kimino. I will give it a go! And now, a GiveAway as well! What a gorgeous book. I will check her out on Instagram. I mostly prefer crocheting to knitting. Right now I’m crocheting a blanket for neice’s new baby girl. I’m half way done – using the tulip stitch thru out, in colorful stripes. When in done I’ll definitely post a picture of it. I love crochet baby blankets – they are smaller and light weight and thus not too hot to work with in the summer. Love your blog & crochet patterns! I crochet mostly scarves in the summer. I like to crochet blankets and baby items. Love your patterns and beautiful ideas! I love your blog. Always fun to read!! I have crocheted for a long time, but not consistently. So I may work on a cross-stitch picture I have. Or I may crochet a lightweight scarf – something not too dense! I usually stick to the same projects year-round, no matter how warm it is – scarves, shawls and blankets! I really enjoy your patterns. I have a couple of the crochet ponchos in my to do list for granddaughters. The book looks fantastic, and full of great motifs to work with. I enjoy knitting lace shawls in the summer. This book would inspire me to crochet a lap blanket for my soon to 90 year old mother. I crochet all kinds of items, afghans, pillows and wearables. I would absolutely LOVE to win this giveaway! I can always use more patterns and motivation! I live in Florida, the weather doesn’t affect what I make. I love to make scarves, ponchos, shawls, circular vest and recently, hats. This is so awesome! I love your work and this book is so cool and compliments it well!! That book is so beautiful. Thank you! Greetings from a fellow Colorado Girl! We live in the same town, which made discovering your blog particularly satisfying. This book looks amazing! I’ve only been crocheting for a few months, but I’m totally hooked (pun intended). I’m looking for just the right pattern to replace the shabby throw on our couch. Perhaps the key to that pattern is to pick up a copy of this book and create my own pattern! What a gorgeous book! Thank you for the opportunity to win it. This book looks lovely! I love to win it. I crochet year round and I’ll make just about anything at anytime. I focus on charity items or gifts for family. This book is gorgeous and if it can help me become more confident in selecting colors, I’d love to own it! I’m going to get into crocheting shoes this summer, I think. We have about 9 months of summer where I live, so crocheted shoes are very useful! Ooh! I’d love to win. I’m always looking for new things to crochet! In warm months I love to crochet shawls in gradient bright yarns. I would love to get that beautiful book, I can think of many different things to do, like a bag, or a free form blanket joining those motifs. By the way, I love your blog and your designs. Thanks for the opportunity! I love scrap projects and the book looks awesome. I’ll check it out on Amazon too, just in case someone ELSE wins. There are some lovely projects there. 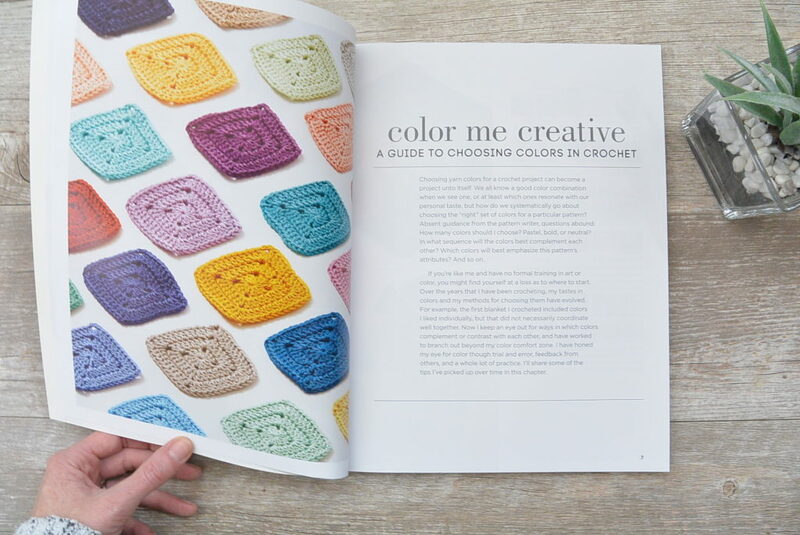 I would love to have a copy to stimulate my crochet projects! I love to crochet hats and scarves in the warmer weather for my kids and grandkids that live in colder climates. I can usually be found knitting or crocheting baby blankets all year long. In the summer months I typically like to work with lighter weight yarns (unlike winter where the yarn gauge does not matter) and to make smaller items. I am very fond of doilies. Save the heavy and/or large pieces for winter. I love allllll the color combinations. It is one of my challenges. I’m a knitter, not a crocheter but I know someone who would love this book or it may inspire me to crochet. It’s beautiful. I love to knit anything in the warmer weather. Usually, I knit socks for my sons. These patterns/motifs are perfect for all things “baby”…blankets, toys, little coats/sweaters, caps! I crochet baby blankets for charity, and I know there are some perfect little motifs just begging to go to a toddler. Also, I have a great niece and nephew that would love to have something made with lots of colors! I have lots, lots, lots of baby yarn scraps wanting a project, too. I would like to learn to crochet more complicated clothing. Maybe I will when I finish the backlog of afghans I am working on. I would love to crochet light vests or cardigan patterns like your Endless Drape Kimono Pattern. I love the unique and modern look of it; especially since it is a fairly easy pattern! Thanks for sharing all of your wonderful patterns for free and the Lion Brand kits are great too! I love your blog. I’m still learning to crochet. Hats are the only thing I crotchet. Your blog has so many gorgeous pieces to try. I finally worked up the courage to try something else. Would love your book to help with that. Thank you for all the details patterns. I need details! I cannot wait to make this! I am still working on the modern heirloom blanket. Well, I am supersizing it though. I’m in the season of babies so i’m making lots of baby blankets and clothes for friends. So I try to make a variety of warm/cool weather items as baby grows depending on what month they are born. I’d love a copy of the Crochet Kaleidoscope because I love working with color and learning new stitches and patterns. What a beautiful book! 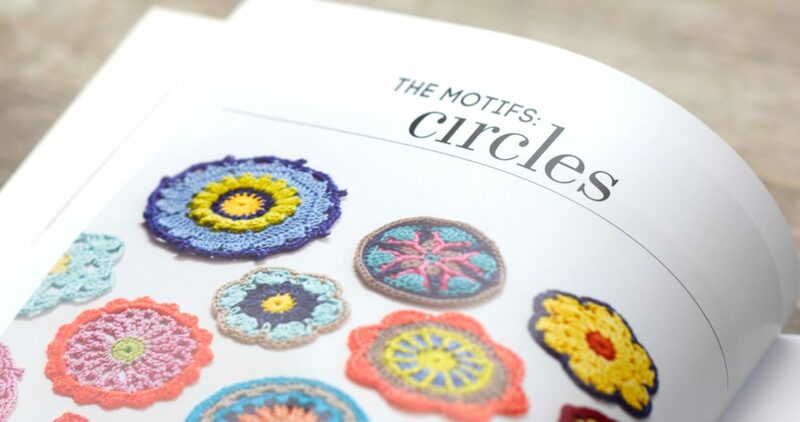 I love crochet books that can double as coffee table books! Thanks for the chance to win it! I love your book, it looks like it would be very helpful as I work on lap robes for our disabled vets. I make granny squares in the summer to be assembled when it is not so hot, plus they are easier to work on when I have to be on the road. I have really enjoyed your blog. Looking forward to making the Camel Bag. Yiur designs are stunning and simplicity. I love to make hats and neck warmers, wristlets and sleeping sacks! I want to make a beautiful blanket but I too am a neutral nelly and don’t know know where to start!!!! Being a visual thinker/learner, this book will supply LOADS of inspiration!! Thanks for your lovely patters, and this giveaway. I’ve been crocheting for 25 years and I have never kept anything I’ve crocheted. I have always given items away. But this year I’m making myself an afghan. I’m calling this the year of ME! Thanks for the opportunity to win this lovely book. I am planning on crocheting small items, Christmas Ornaments, etc during the summer. Since I am disabled and mostly bed bound as well as living in Florida, I crochet the same in summer as in winter, lol. I do blankets, hats and light weight tops and cardigans. I also make stuff for our dogs as my chihuahua gets cold if it drops below 65, lol so I make little sweaters for him with scrap yarns. Love your blog and love to crochet! This looks like a great book to bring more color into my life. 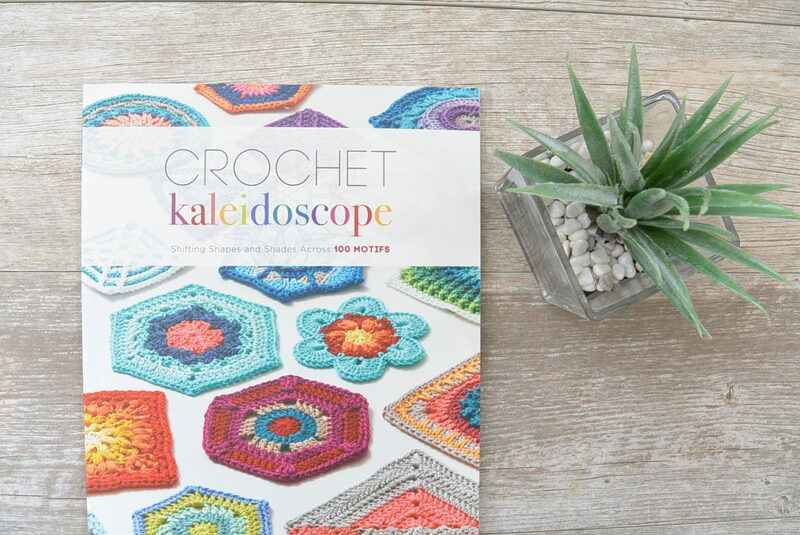 I usually crochet smaller projects in the hot summer time like dish cloths or squares which is why i would love to win this book before summer gets here. I think these motifs would be a great summer project to work on then crochet them up into an afghan next fall! I like to crochet amigurumi and Christmas ornaments! Hi Jessica, Crochet Kaleidoscope might be the answer to how I can learn to “choosing yarn colours, what order to put them in, and how many to include”. And I’ll get plenty of practise on those fabulous motifs! Crocheting pot holders is my favorite thing to do. Thank you for the giveaway. I love the book so much, looks like a lot of pretty patterns to try. I have so many wips at the moment but I can’t wait to make more summer things. You have an artistic eye! Wonderful, classy styles that are manageable for those of us with far less experience. Thank you! I like small projects in the summer, of whatever weight yarn, so they don’t add too much heat or weight in my lap! This book provides endless inspiration for those of us who like to go off on our own and create our own designs. I would love to have that book and be so inspired!!! This looks like such a great book! Thank you for a chance to win it. I just started crocheting again! Would love this book. I like to work on bags & shawls. It would be fun to create some using one (or more) of your motifs. I tend to crochet with thread in the summer – it gets up to 117 F in Las Vegas, NV in the summer! What a beautiful book! So many great designs, patterns and colors. I knit and crochet almost everyday. I do not knit anything special during the warm weather. I would Love to win this giveaway. Your blog is great. Thanks for the prayers opportunity to win this book. I love your designs, simply yet wonderful! I love your blog. My next project will be a take along one for when I travel. Hexagons to work up into afghans and scarves. I made and loved the kimono cardigan, I’ll have to try this duster!! I haven’t tried motifs yet but I’d love to! Lite weight cotton beach cover ups. Love the book! I love doing small pieces in the summer so I can put them together in the winter! a lot from you. Thank you. Most of the time I like to crochet baby blankets. These motifs look like they would make a fun and unusual blanket. What a mind opening book; colours, shapes, textures!!! Thank you for the opportunity to put this on the crafty bookshelf. There can never be too much color! I think this book would make a glorious addition to my collection of crochet books. I’m disabled and I read a lot, but I’m trying to find some crafts that I can do when taking breaks from reading. So, I have been making paracord belts for some friends/relatives and that is going ok (aside from the occasional tired hand issue). Now I’m starting a crocheted t-shirt yarn basket/cat bed. just finished cutting the yarn from a bunch of t-shirts (just wanted to recycle some) & now I just have to start. *I’m procrastinating just a bit on starting! * It’s for a relative’s cat that is very spoiled. This is also my first crochet project, so a bit ambitious for a beginner! I love the projects you post about & will be watching for more to put on my “Try to do list”! Throughout my 45 years of crocheting I’ve always crocheted with coordinating colors and just recently have started crocheting varied colored motifs and mandalas. This book would be perfect to take me to a higher level of using different colors. I hope I win this book!! I have loved the patterns and tips you’ve given on your newsletters and site since I joined! I’ve been looking into a great sweater for my neice and I do believe your duster might just be perfect. The only problem is finding the right color for her, talk about picky! I love your patterns so much! I actually combined two of your hat patterns to make a hat for my Mom this winter. She is going through cancer treatment and wanted something really soft but not too slouchy so I used one of your slouchy hat patterns that used a thinner yarn and one of your beanie patterns that used a thicker yarn, combined the two and came up with exactly what she wanted. She was delighted with the outcome. Thanks for making your patterns so versatile that I was able to do that! And now, onto the next one!! I enjoy knitting and crocheting many items such as headbands, swimsuits, light weight shawls, jewelry, airy baby blankets, baby bonnets and prep for holiday gifts. I like to knit and crochet accessories during the warmer months. It looks like a lovely boo. I love the colorful shapes. I absolutely love this book because with all the different patterns and my color choices, the possibilities are endless. I will never get tired of this book. Thanks so much for the giveaway. I love looking through new crochet books and magazines! This would make a great addition to my collection and I really want to try some of those motifs! I work on motif blankets all year round. The small pieces are ok to do on a warm day and they travel well. Then, when the AC is on high and I’m too cold, I work on putting the blanket together. Love your blog. The crochet patterns are easy to follow. Simple yet elegant. With 8 months of winter in Canada, I crochet a lot…. Thank you. BTW I have family in the US and can use their mailing address. I look forward to your emails and seeing your wonderful projects. I had been away from needlework for a while, but back now and working on Christmas projects. I was very happy I found your blog, I love making Hats and Scarfs. I am now getting into making blankets a little more. Right now I’m keeping the stitches simple, however I want to be able to spread my wings and work on other patterns. I live in Florida so I have a lot more warmer months than others. I like to knit small items like hats, socks, or washcloths although sometimes when the air conditioner is really cranking, I can make bigger items like sweaters or shawls. I love your stuff…have earmarked a few projects that I will be working on. I want to let you know how much more enjoyment you have added to my days with your blog and your patterns. I enjoy the bright colors in the book and the many different items to make. I really enjoy crocheting for others, especially in the winter, but all year around. Prayer shawls or blankets are my thing. It makes me feel so proud to hand them over to someone who needs them the most. I try to crochet or knit smaller items in the warmer months. Such as hats or baby items. Also, I like to do lighter weight scarves. This book looks great – I would love to have it. I could imagine doing motifs in the warmer months and then use them later to construct blankets, etc. OOh, I just put this book on my Amazon wishlist. So pretty. What a beautiful book! I tend to use neutrals, too, but love color for home decor. Thanks for the chance at a giveaway!! This book is gorgeous, as are your designs! Thanks for hosting a giveaway! I tend to crochet lightweight, lacy shawls in warmer weather!